In search of the best fitness studio or gym in Chicago? From resistance-based training to yoga, here are the newest places to check out if you're looking to get fit before summer. 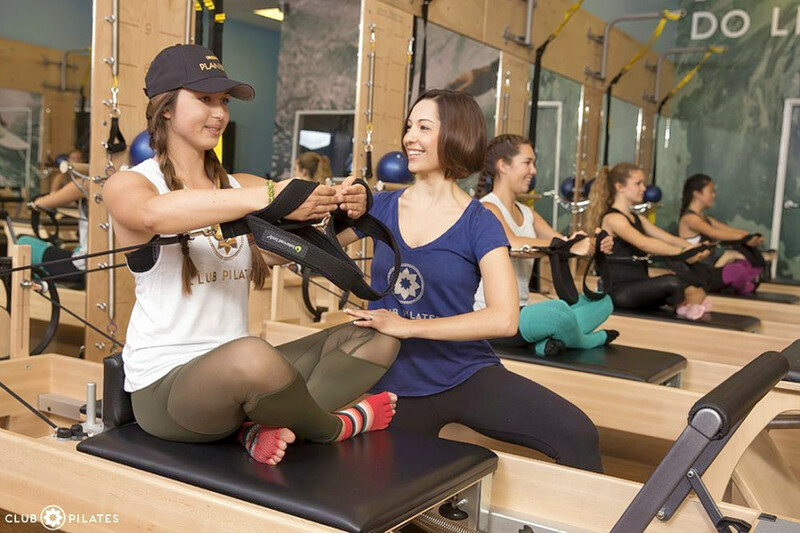 Founded in San Diego, fitness chain Club Pilates has opened its third studio in the city. Offering a modernized version of the regimen created by Joseph Pilates, the fitness chain says it "offers high-quality, life-changing training." Club Pilates, which currently holds five stars out of one review, is starting to receive positive attention. Yelper Cara S., who reviewed the new fitness spot on April 19, wrote, "I showed up to the first class expecting to hate it like everything else I've tried, but the workout was unlike anything I've ever done: It was fun; I could actually do everything that was asked of me; I never felt like I was going to die; and at the end of class I didn't look or feel like I'd been hit by a truck. Instead, I felt energized ... and every muscle in my body felt buzzy and stretched and strong." Club Pilates is open from 6 a.m.-7:30 p.m. on Monday and Wednesday, 6:30 a.m.-8 p.m. on Tuesday, 6:30 a.m.-7:30 p.m. on Thursday, 6:30 a.m.-1:30 p.m. on Friday and 8 a.m.-1 p.m. on weekends. Calling itself a fitness mall, StudiosFUSE brings four different studios together under one roof. Fitness buffs can purchase membership or class packages that offer access to all of the workout experiences. First up is Kick@55 Fitness, which offers a challenging one-hour workout using an obstacle course format. 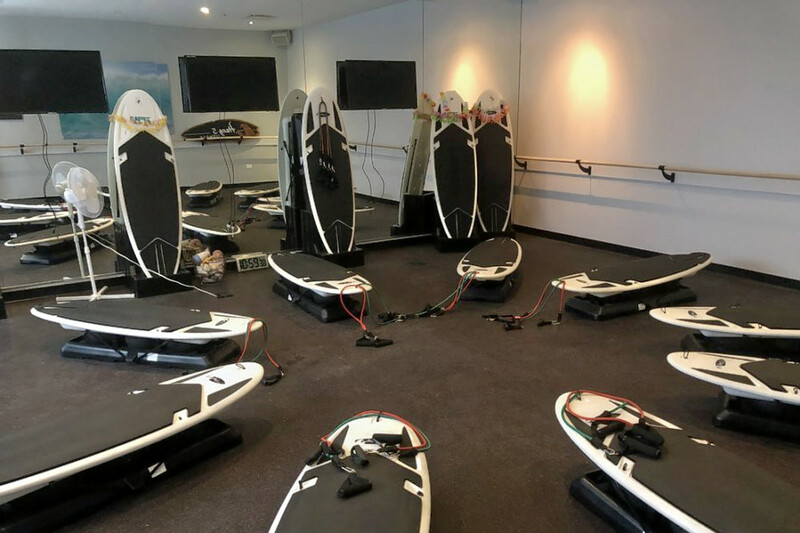 Next, there is the Hang5 Fitness studio, with both barre instruction and a class using surfboards to improve balance and tone. Yoga Space features a variety of classes, from strengthening and technique to meditation and relaxation. Lastly, Sproing Fitness provides high-intensity interval training on its signature treadmill. Learn more about pricing and available classes at the StudiosFuse website. StudiosFUSE's current rating of five stars out of 11 reviews on Yelp indicates positive attention from users. Yelper Annie M., who was one of the first users to visit StudiosFUSE on Feb. 19, wrote, "I just went to StudiosFuse for the first time to try the Kick@55 bootcamp class. It was AMAZING! I love that the class is under an hour and still so effective. Also, the space is beautiful. There's a juice bar, and the bathroom has hair dryers!" And Madeja M. wrote, "Awesome facilities and great atmosphere. Come to workout frequently and did a Friday night glow yoga with a group of friends. Best way to start the weekend and the instructor catered the class to fit the skills of our group." StudiosFUSE is open from 5 a.m.-8:30 p.m. on Monday-Thursday, 5 a.m.-1:30 p.m. on Friday, 7 a.m.-6:30 p.m. on Saturday and 8 a.m.-6:30 p.m. on Sunday. 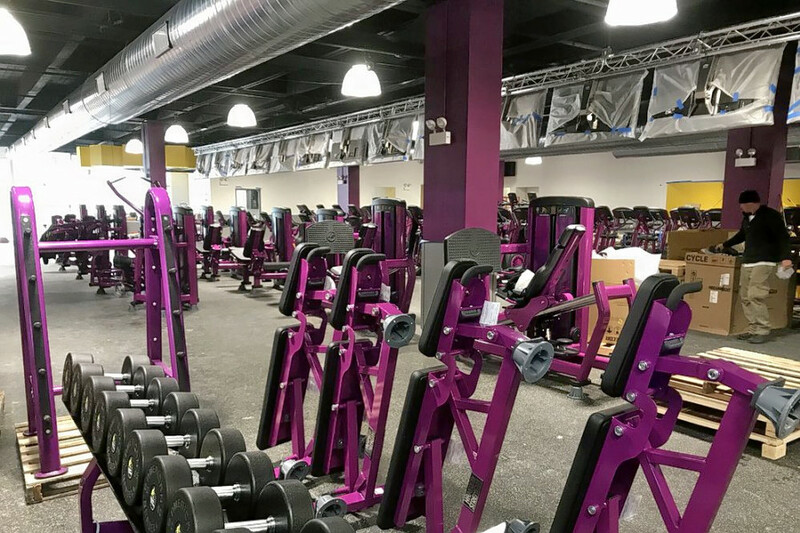 Planet Fitness has recently opened its ninth Chicago gym with a range of machines and free weights, as well as locker rooms, massage chairs and a spa. The fitness franchise says it strives "to create a workout environment where everyone feels accepted and respected." Cardio classes that target specific muscle groups are also available, with memberships starting at $10 a month. With a four-star rating out of 17 reviews on Yelp, the new Planet Fitness on North Broadway has been getting positive attention. Yelper Benjamin D., who reviewed Planet Fitness on Feb. 19, wrote, "Pretty amazing gym and smooth opening team. It's one of the smaller Planet Fitness locations in Chicago so once the memberships increase I can see this location becoming very packed. But, it has one of the nicest Black Card Spas I've ever been to in a Planet Fitness. Also a great thing is this location has ample parking." And Coreena B. said, "There is always plenty of staff and I never have to wait to scan in or sign up for tanning, and they're always very friendly and ready to answer questions. Facilities-wise this place is amazingly clean." Planet Fitness - Chicago N. Broadway is open from midnight-midnight on Monday-Thursday, midnight-9 p.m. on Friday and 7 a.m.-7 p.m. on weekends. 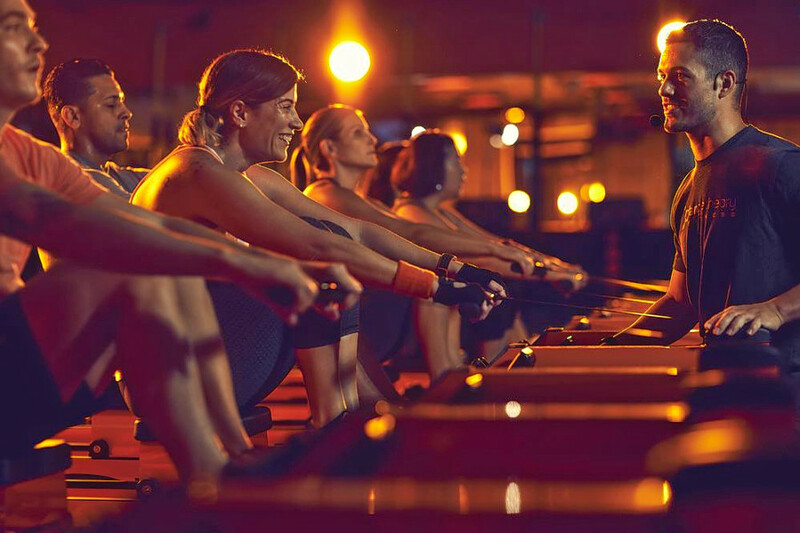 Orangetheory Fitness Chicago - Streeterville is a boot camp, gym and personal training spot that offers "heart rate-based interval training in a fun and energizing group environment." With locations across the country, the chain specializes in a one-hour, full-body workout billed as group personal training. Participants rotate between treadmills, rowing machines, free weights and other equipment, with many promising to burn between 500 and 1,000 calories per session. With a four-star rating out of 10 reviews on Yelp, Orangetheory Fitness Chicago - Streeterville is gaining fans. Yelper Peri H., who reviewed the new studio on May 1, wrote, "I love OrangeTheory, especially this location! The front desk staff is very welcoming, and even remembers your name, after just one or two visits. Very friendly staff, clean location, and above all, GREAT WORKOUT!" Isha G. noted, "My husband and I started Orangetheory a month ago after not working out for several years. The wait list can be a bit annoying to deal with, however we have always gotten in. The class is good as it allows you to work at your own pace. The people at the front desk are extremely friendly." Class times vary so visit the website to book your first class. Looking for something different? Solidcore, with gyms in several states, says its high-intensity, resistance-based program is "unlike any workout you've experienced before." 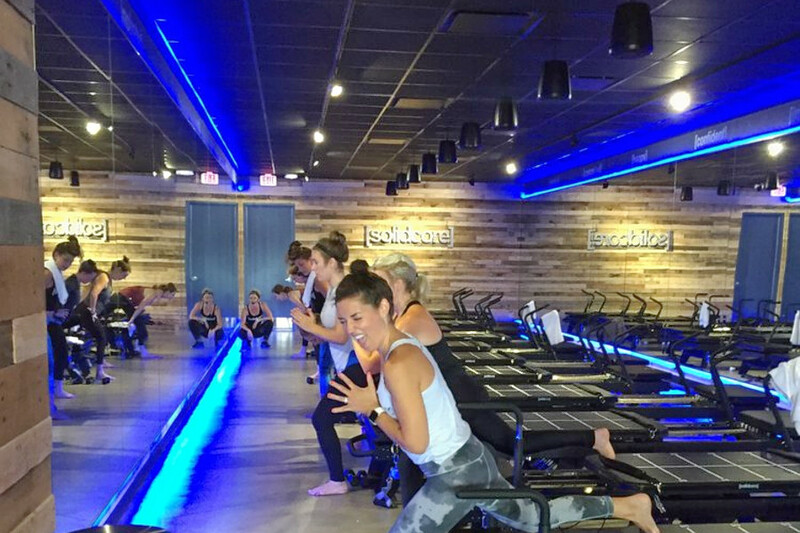 With its first location in Chicago, Solidcore's 50-minute classes provide a full-body workout that will feel familiar to those who have done Pilates or other regimented fitness classes. The fitness chain claims many participants begin to see results in two weeks, with a marked difference in their overall strength after 30 days. Private classes, monthly memberships and multi-class packages are available. Check out the website to learn more or to book a class. Solidcore's current Yelp rating of five stars out of seven reviews indicates users are enjoying the new studio's offerings. 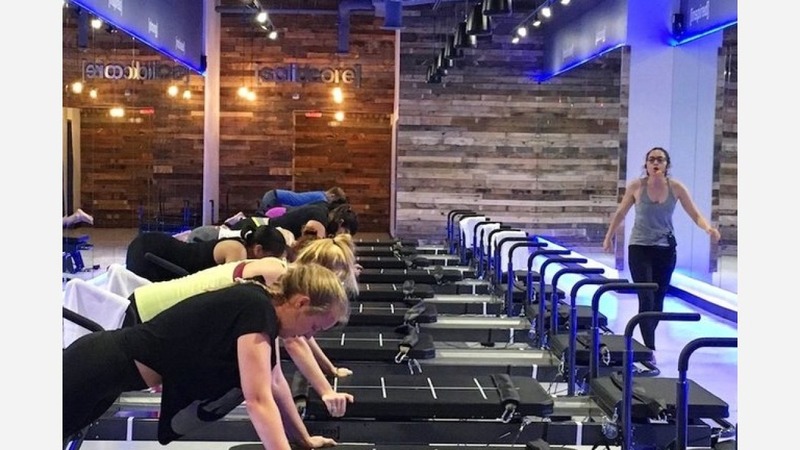 Yelper Katarina C., who reviewed Solidcore on April 18, wrote, "I have been consistently coming to Solidcore since February, and I can't believe how much stronger I have gotten since the first class. The first class is challenging but I promise it gets easier! Besides a great workout, the staff is amazingly friendly." And Rachel S. said, "Something new and challenging to add to your workout routine. Every class is different and all the coaches take their time to deliver a customized class. Love it!" Class times vary so visit the website for more details.